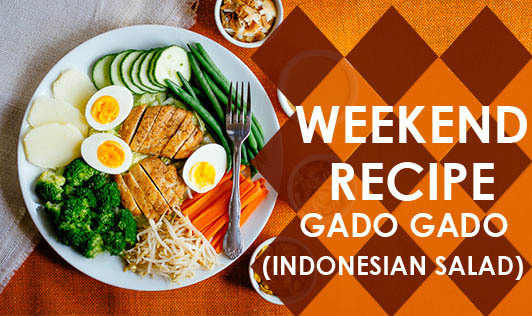 Gado Gado is a popular Indonesian dish which tastes yum! Try it this weekend. Method of preparation - Mix all the dressing ingredients in a blender. Put all the salad ingredients together in a bowl. Add the dressing and mix well. The vegetables should be well coated with the sauce. Serve chilled. If you wish you may add lettuce leaves for decoration.